Carrie Fisher's absence loomed large at this year's Star Wars Celebration Orlando. Amid the 2017 edition's events including a highly-anticipated panel and appearances from actors and creators from the franchise's past and present celebrating the 40th anniversary of Star Wars, it was the tribute to Fisher that brought tears to fans. The moving tribute looked back at her work from the very beginning, providing some behind-the-scenes footage, interviews with cast members and some funny candid moments. It was a touching reminder of Fisher's impact and influence on the franchise that remains today. She passed away last December but had already filmed scenes for the latest installment, The Last Jedi. "In our world, Star Wars became a religion and a way of life. I wanted to be here with you because I know you feel the same way," her daughter Billie Lourd told the audience. "My mom used to say she never knew where Princess Leia ended and Carrie Fisher began. 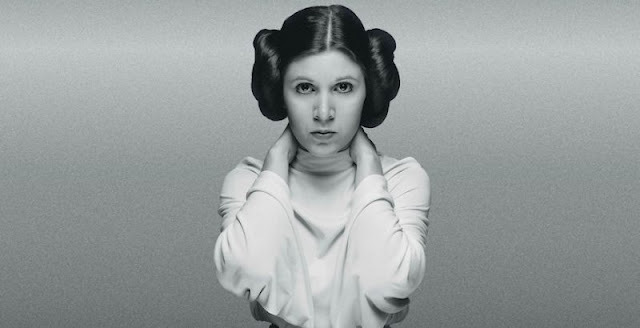 She went from being an unknown actress, the daughter of Debbie Reynolds and Eddie Fisher, to Princess Leia..." she said. "She was imperfect in many ways, but her imperfections and willingness to speak about them are what made her more than perfect. My mom, like Leia, wasn't ever afraid to speak her mind and say things that might have made most people uncomfortable, but not me and not you. That was why she loved you because you accepted and embraced all of her."